Plastic Welding Rods | Drader Manufacturing Industries, Ltd.
Drader’s high quality, optional UV protected welding rod can be used with most fabrication-type plastic welders on the market. Drader’s Plastic Welding rod is sold worldwide to our welding customers. Our continued investment in the latest equipment and technologies for plastic rod manufacturing has increased our capacity to feed the plastic welder market and maintain even tighter quality control for rod production. Drader manufactures our plastic welding rod from high quality virgin resins, suitable for most plastic welders on the market today. Acrylonitrile butadiene styrene is a common thermoplastic. Its glass transition temperature (ABS is amorphous and therefore has no true melting point) is approximately 105 °C (221 °F). Linear low-density polyethylene is defined by a density range of 0.915–0.925 g/cm3. LLDPE is a substantially linear polymer with significant numbers of short branches, commonly made by copolymerization of ethylene with short-chain alpha-olefins (for example, 1-butene, 1-hexene and 1-octene). LLDPE has higher tensile strength than LDPE, it exhibits higher impact and puncture resistance than LDPE. 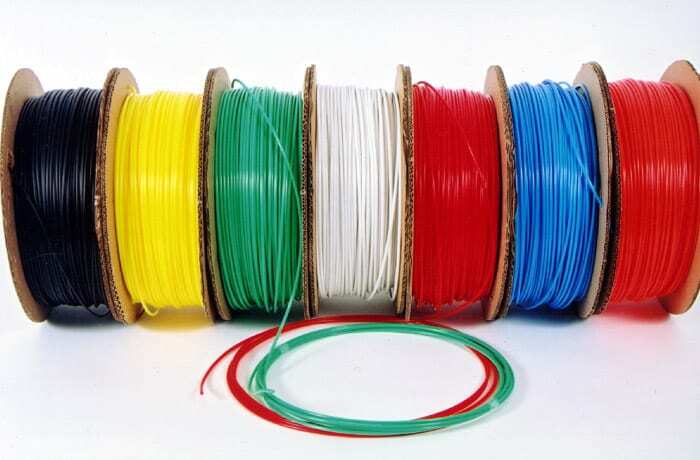 Polypropylene, also known as polypropene, is a thermoplastic polymer used in a wide variety of applications including packaging and labeling, textiles (e.g., ropes, thermal underwear and carpets), stationery, plastic parts and reusable containers of various types, laboratory equipment, loudspeakers, automotive components, and polymer banknotes.